robotGEEK'S Cult Cinema: Cobra hits Blu-ray! 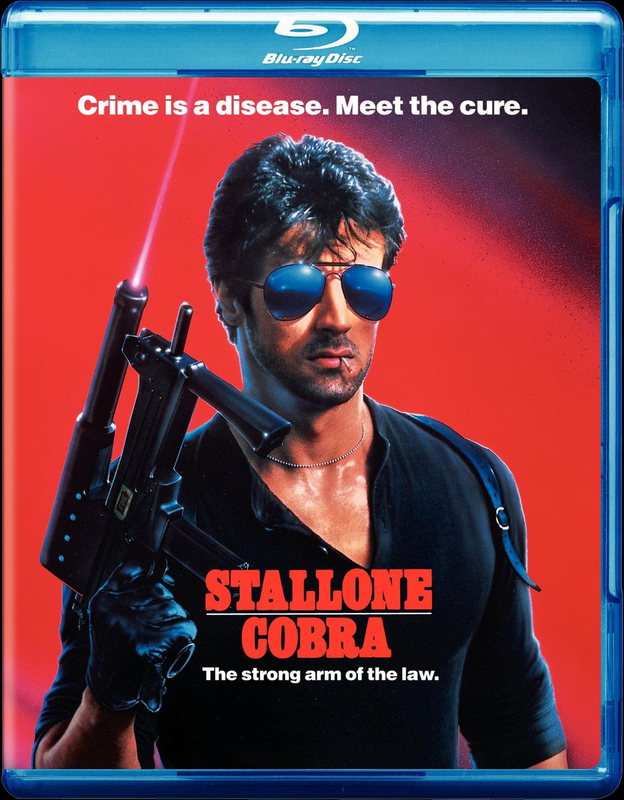 Cobra [Blu-ray] is one of my favorite Stallone flicks ever! I love the style, I love the look, I love sunglasses, I love his gun and most of all his badass car. A truly great character that I always wished had been given a sequel. I can't help but wonder that since he's revisiting his best known characters and back in the big leagues again, why not bring detective Marion Cobretti from "The Zombie Squad" back to the big screen? I would love to see an older and wiser Cobra still on the force hunting down serial killers. I've recently heard some rumors indicating that Stallone had directed Cobra himself but given the credit to George P. Cosmatos. Whether that's true or not, I still love the look and style of this film. It works. This Blu-ray edition just came out this past Tuesday and does feature a few extra features believe it or not. You get a trailer, commentary by Cosmatos and a making of feature. All for a measly $15! How can you pass this up?! Agree with you 100%! Cobra is also one of my favorite Stallone movies. "This is where the law stops....and start...Sucka!"